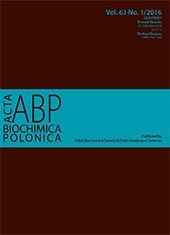 Quaternary ammonium biocides as antimicrobial agents protecting historical wood and brick. Quaternary ammonium compounds (QACs) are widely used in disinfection of water, surfaces and instruments as well as in textile, leather and food industries because of their relatively low toxicity, broad antimicrobial spectrum, non-volatility and chemical stability. Due to these advantages, QACs are also used in restoration and can be applied on historical material. The aim of this study was to determine the usefulness of biocides based on quaternary ammonium salts and containing various excipients in the protection of historical materials against microbial growth. The study determined the antimicrobial activity of three biocides against bacteria: Pseudomonas fluorescens, Staphylococcus equorum, Bacillus cereus, Bacillus muralis, Sporosarcina aquimarina and Rhodococcus fascians, and moulds: Chaetomium globosum, Penicillium citreonigrum, Cladosporium cladosporioides I, Acremonium strictum, Aspergillus fumigatus and Cladosporium cladosporioides II, all isolated from historical wood and brick. Staphylococcus equorum, Bacillus cereus, Sporosarcina aquimarina and Rhodococcus fascians bacteria, and Cladosporium cladosporioides I and Acremonium strictum moulds showed high sensitivity to quaternary ammonium biocides. Historical wood can be effectively disinfected by three applications of biocide A (30% v/v) containing dodecyl dimethyl ammonium chloride (DDAC), citric acid, propiconazole and propanol. Disinfection of historical brick can be carried out by three applications of 6% v/v solutions of biocide B (based on DDAC and ethylenediaminetetraacetic acid - EDTA) or biocide C (containing a non-ionic surfactant, DDAC and EDTA). Effective protection of historical building materials against microbial growth for a period of seven days can be achieved by the application of biocide A (30% v/v) on the wood surface and biocide B (6% v/v) on the brick surface.